Smooth and light, a nice breath of fruit at the tag end of it. I like this one in the evening. That’s funny. I absolutely agree. I have told quite a few people that this was my “gateway” scotch. It has a decent zip that its sister Glen is lacking. 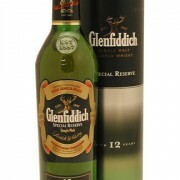 Glenfiddich still could come down in price a little bit. This was actually the second single malt I ever drank, and it almost turned me away from it. Glad I tried others. AVOID. This Scotch is outstanding, but it is not an after dinner Scotch. It requires a clean palate to properly enjoy. Get yourself some icewater and get your mouth very clean. 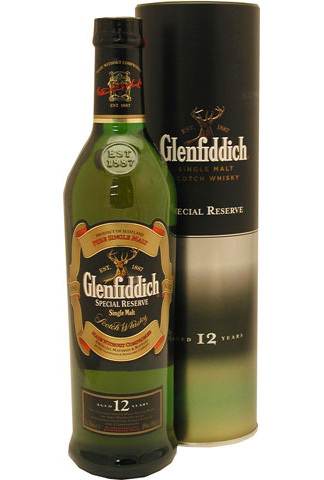 Then you will experiance a slightly spicy flowery scotch with a background of pear alluring you to take another sip. It ranks just outsides my top 20 Scotches of all time.